Nice afternoon. 3 beers on. The usual stop-off before going to see Quantum of Solace. Fair few people in watching the football, and locals sat at the bar. Had my pint then had one of their single malts, of which they have loads. Shepherd Neame - Master Brew Bitter 3.70 Perfectly good pint of master brew. Malty with a little caramel and biscuit. Good enough. Had half hour to spare before catching a movie so stopped in for a quick one. Quite busy with a good local feel to it. They have a fantastic range of whisky, I counted 29 single malts plus other blends. Shame the ale isn't up to the same standard. Shepherd Neame - Master Brew Bitter 3.70 This started well with the normal biscuity caramel flavour, but then there was a bit of an unpleasant aftertaste. Did the job though. Popped in before seeing a movie. Quite busy with all the locals engaged in proper pub conversation. Not the friendliest of welcomes from the barmaid but all in all it was pleasant enough. Greene King - Morland Old Speckled Hen 4.50 Nothing special here, but as Old Speck goes, it was a perfectly drinkable pint. 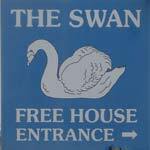 The pub is found in Westgate-on-Sea, Kent, CT8 8QG. 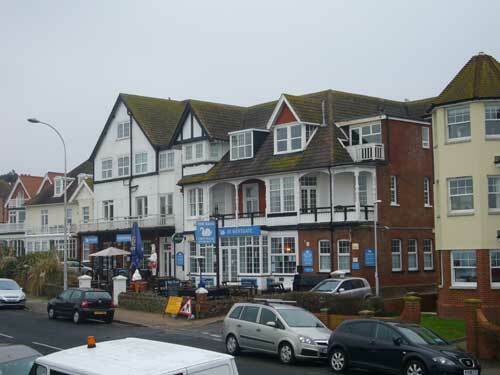 In Sea Road, a traditional old-fashioned pub with a stunning view over West Bay. Previously known as The Ingleton Hotel. Consists of Main, Sports and Games bars. We have visited this pub 8 times, seen 4 different beers and tried them all.